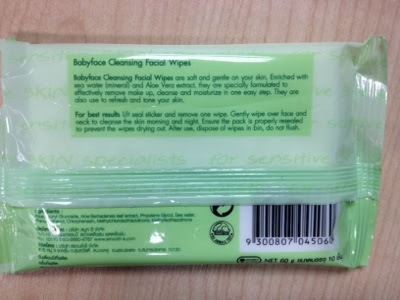 I have been trying out this cosmetic wipes to clean my make-up. 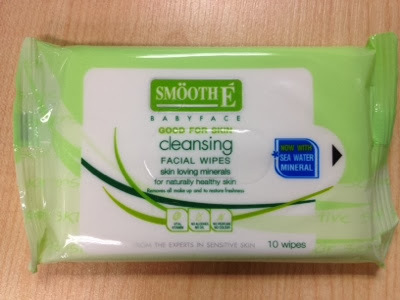 What these wipes does it, it reduces the accumulation of dirt on his face. It is enriched with sea water (mineral) and Aloe Vera extract, they are specially formulated to effectively remove make up, cleanse and moisturize in one easy step. They are also use to refresh and tone your skin. Also a special blend of vitamin E that help to clean the dirt and nourish the skin. It is suitable for all skin type. It can be used to remove waterproof makeup. It has no alcohol, no oil, no perfume and no color. Sheets are made of cotton and does not irritate the skin. One pack is for 55 Baht containing 10 sheets. 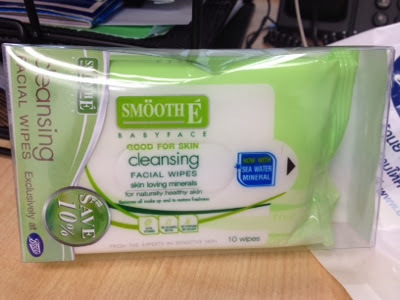 I bought this from Boots, 2 pack for 105 Baht. I keep this in my gym bag so that before sweating out, I allow my face to breathe.